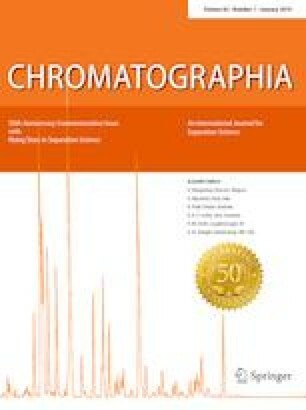 The theory that ultrashort chromatographic column could be useful for the separation of proteins emerged in the 1980s. However, experimental confirmation failed after numerous unsuccessful attempts to pack an efficient column just a few millimeters long due to the massive channeling. Thus, a new type of column that was not packed with particles had to be designed and developed to demonstrate that indeed even the very short layer can separate. Being polymer chemists, we have thought about the preparation of a porous polymer in bulk that could be machined and form the layer. While the theory concerning the formation of porous beads was well known, the literature focused on polymer science did not include anything useful that could help us with the preparations of mechanically stable polymer materials possessing well-controlled porous properties. Since our target was chromatography, we extended our search in the chromatographic literature. To our surprise, we found in a 1971 volume of Chromatographia that some attempts to prepare packings, mimicking what we now call monolithic columns, had been pursued in the past. Schnecko and Bieber working for Dunlop Forchung in Hanau, Germany  published their short communication entitled “Foam filled columns in gas chromatography”. They produced monolithic poly(ether-urethane) foams directly in a 1 m long and 6 mm I.D. glass column that they used for the gas chromatographic separations. Clearly, polyurethane was not the best chemistry for a GC stationary phase and its thermal stability not exceeding about 180 °C was not sufficient for any efficient GC. Thus, these polyurethane foam columns became extinct from the chromatographic vocabulary and never returned. Yet, they represented an inspiration and indicated that monoliths could be created. The other Chromatographia papers that caught my attentions were published in the early “monolithic era” by Stellan Hjertén’s group in Uppsala. Stellan, thinking “out of the box”, designed a chromatographic medium using an entirely new concept. His simplest implementation involved polymerization of an aqueous solution of methylene-bis-acrylamide and acrylic acid in a 6 mm I.D. tube to form soft gel pieces. The following hydrodynamic and mechanical compression of the gel to only about 17% of its original volume resulted in a column enabling an excellent and fast chromatographic separation of proteins. Clearly, these columns were not real monoliths since they were prepared by compression of the irregular gel particles. However, their format was more “continuous” than that of the typical packed columns and the authors therefore called them “continuous beds”. Counterintuitively, these highly compressed gels were well permeable, and the fast separations were largely independent of the flow rate. They also studied the effect of experimental conditions on the chromatographic performance of their columns and the optimized column enabled separation in less than 10 s .
The only problem Stellan encountered was hydrophilicity of the polymer that was well serving separations in ion exchange mode. Yet, this property did not enable the separation in the most popular reversed-phase mode. This is why a modification of the procedure was needed to make the gel more hydrophobic. This effort was then described in another Chromatographia paper . For example, they added one more monomer, allyl glycidyl ether, in the polymerization mixture to include reactive epoxide groups that then reacted in situ with 1-octadecanol to create the desired C18 chemistry. These columns were then tested for the separation of peptide mixtures obtained by digestion of proteins. I am meeting Stellan quite often since my first visit in Uppsala several decades ago. We always have nice discussions concerning monoliths and other issues. Not surprisingly, for years he was fighting for the term “continuous beds” he coined. But he gave up eventually since “monoliths” were widely accepted by the separation community. Obviously, a single word is better than two words. And just for the record: Stellan will be 91 in April this year. Still working! The author highly appreciates financial support by the project STARSS reg. No. : CZ.02.1.01/0.0/0.0/15_003/0000465 co-funded by ERDF.